Restoration companies can become a saving straw to someone whose property was affected by fire, water or a natural disaster. When you work with Express Emergency Services, your property is in good hands. We can restore any damage resulting from flood, fire, mold or trauma damage to your home or business. With the owner’s twenty-five years of experience in emergency and property damage restoration services in South Florida, our team prides itself on our high level of customer service and on delivering a finished product that will meet or exceed your expectations. 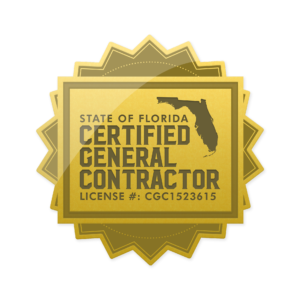 Our licensed restoration contractors conduct a thorough inspection of the damages to your home or business. They construct a detailed and itemized estimate for you and your insurance adjuster and get our team working on your restoration project as quickly as possible. Throughout the disaster restoration process, our project coordinators keep you up to date on every phase, including negotiating with your insurance adjuster and all aspects of general contracting. a prompt response time and ASAP restoration anywhere in Broward and Palm Beach counties. a thorough inspection and detailed, itemized estimate. to accept the project terms and pricing negotiated with your insurance company. As long as your insurance covers the affected areas, you will only be held responsible for paying your deductible. • Bathroom and kitchen remodeling following severe damage. • Electrical and plumbing repairs.